Blog > The Los Angeles Rams: a win for taxpayers and property rights? 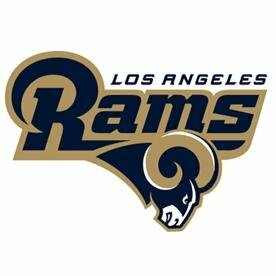 nt announcement of the the St. Louis Rams moving to Los Angeles, their home for 49 years. In the post I discuss why taxpayer and property rights advocates should be excited about the move. There is a long history of cities subsidizing expensive sports stadium projects. While supporters of these sports stadiums tout the economic boon that these projects bring, these successes never seem to materialize. Study after study, from those on the left and the right, have shown that government-subsidized sports stadiums hurt local economies rather than help. The Barclays Center, built to house the Brooklyn Nets and to re-vitalize the community, for instance, has been a financial disaster. It has lost 9 million dollars in its third year of operation and the promise of low-income housing in the area has not materialized. In response to these public burdens, commentators have long been calling for organizations like the NFL and FIFA (the governing agency for international soccer) to foot the bill for these stadiums. Not only is taxpayer money wasted, but eminent domain is often used and abused to obtain property to build these stadiums. Cities will typically attempt to negotiate to purchase private property initially. But if owners do not oblige, cities have shown little hesitation to use eminent domain to obtain the desired land. Cities like Sacramento, San Diego, Washington, D.C., Brooklyn, and Los Angeles have all used eminent domain to acquire land to build sports stadiums. I will discuss the material in this post on The Lars Larson Show today, Tuesday, January 19, at 5:20 PST. You can listen to that here.